You can also buy a number of prints or canvasses (print sizes A2, A3, and A4 available plus A2 and A3 canvas) which would make a welcome Christmas present for the Gooner in your life. Now for the good news. 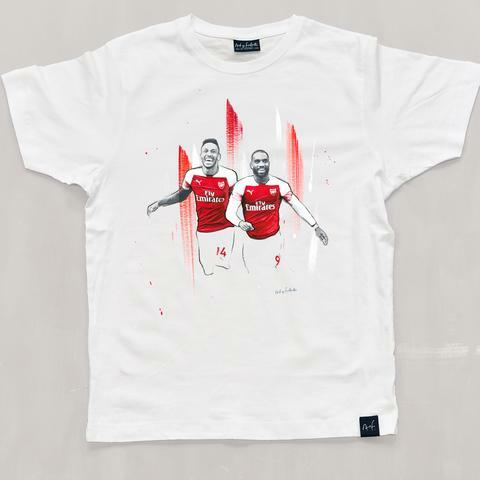 Art of Football have offered a tee of your choice to one lucky Goonerholic reader. To enter the competition just Head over to my Twitter handle @TheGoonerholic and locate the pinned tweet on my profile. 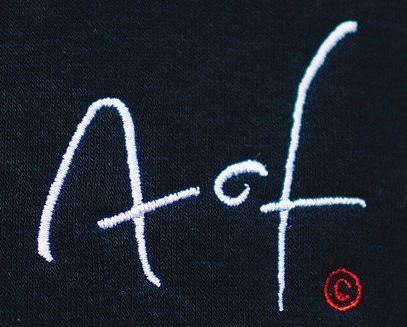 Follow @Art_of_football and us and RT this tweet for a chance to win a tee of your choice! Good luck! The winner selected after the competition closes at 5.00pm UK time on Thursday 22nd November, will receive the tee of their choice. There is no cash alternative. That’s not all we have for you from the Art of Football. If you don’t win then this weekend get a discount of 20% off everything you buy from the Art of Football website as part of their Black Friday promotion with the code BF20. 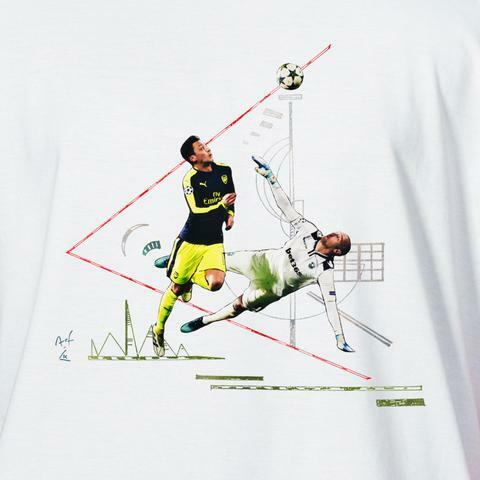 Auba Laca shirt appears to be a winner. The economist has temporarily been stricken from the Bournemouth back four. Here is hoping it means their defence will be a bit less penny pinching, starting this weekend. So far this season they have let in 16 goals,m one more than Arsenal have let in, so maybe their high league position is mostly down to their improved attack? Calum Wilson has scored half the goals Bournemouth have scored against us. I pooh-poohed the idea of Eddie Howe taking over from Arsene last year and still believe Emery is a much more suitable appointment but I have gained a lot of respect for him. He has built something very impressive at Bournemouth and is a good tactician. They’ve given us two very tough games at the Vitality in the last two meetings although we’ve defended shockingly and Cech gave them a poor goal last year ( to Wilson). Sunday will be a good test and Torreira and Xhaka will be key. A very high workrate will be essential but a much greater man than me will be settting the scene here on Saturday! Elneny to Leicester is one rumour doing the rounds. Fornals would be more a Ramsey replacement. TTG, hope all is progressing well with Mrs TTG. Fornals would cost around £40 million, compared to the £8 million we’d get for Elneny and apparently the nothing for Ramsey. Thanks for your thoughts. She is home and slowly getting better I think. thinking of giving this a go ? gives 36m as the buy out. what’s that in inches ? Excellent link @19, cba. You truly are an excellent fella. I love the music from that series, to the extent that I bought the CD a couple of years ago. They always used to show it every year between Christmas and New Year when I was working for exams that took place in the first week of term in January. Year after bloody year after bloody year. But it’s a great series and the music is haunting. Now I’ll join you in watching the whole thing again. I’m sitting in a bar in Barcelona, drinking my first beer in about 3 months. Screw you interlull. Life is good. And the only times that I do have to say anything (so far to order more beer and observe that it’s my first in a long time) I get to practice my Spanish. Which, while still in need of much improvement, is indeed better than ever. O, si es mejor que nunca. Hey, GSD. Glad to hear you are in a good place. Rock on. I saw a pig once. effin’ huge it was, muckin in a west virginia mudhole. Thanks CBA- top man as are you all here. happy thanksgiving to you all. i am thankful for dave, this place, and all of you here (and those who have passed on, rest in peace). drinks on the bar for everyone from clovis, ca (temporary digs at the parents’ place with the rest of my siblings and family). Happy Thanksgiving to scruzgooner and to all, from my brother-in-law’s digs near the seat of government and learning of Nebraska where it is sunny, mild and serene. Happy Thanksgiving to all in the post-Colonies. Good job there were no walls when the Pilgrims first arrived. GSD: Should that be, O, si és millor que mai, given where you are? Bizarre story about how Lincoln ended up being called Lincoln, bt8b, but true. Belated Happy Thanksgiving Day to all our ex-subjects in the former north American colonies. bath, if the Lakota ever get the Black Hills back, I think they have to return them to Cheyenne, who also probably took them from another tribe before that. I challenge the dominus of the monastery with some reluctance and trepidation but here goes. I think you’ll find that the Cheyenne and Lakota arrived in the area that is ow South Dakota at approximately the same time and it was the Crow, Arapahoe and Blackfeet that were displaced. No monks were damaged by this knowledge. cba@41. Nice sculpture and a story that deserves many tellings. cba@41. what bt8 said @46.
cba, what ecg said @49 and bt8b @46.
bath@40, the Cheyenne and Lakota would both have lived on the Great Plains at the same time, but the Cheyenne drove the Kiowa south from the Black Hills before they were driven west by the Lakota. But we are talking 17th/early 18th century so the written records are sparse. OM@51, thoroughly endorse your point three. Ned, I told you I was trepidatious. I doff my cap to the monks’ eclectic expertise. What Ned said @53, ecg @49 and bt8b @46. Good stuff cba. least 2 more weeks out. I agree that Kola is not a good solution at left back .